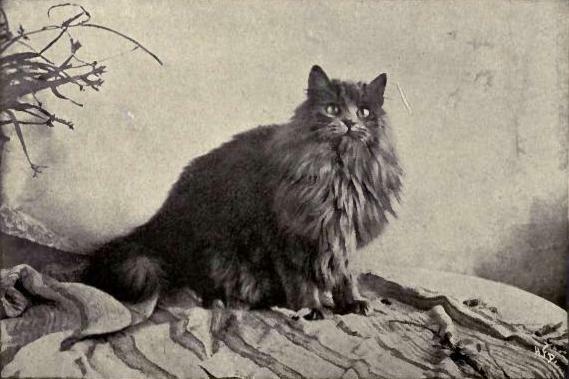 I came across a rather funny story about cats from the 1800’s and wanted to share that story, but as I did some research I found other reports of interest involving cats. So, I thought I would share that information too. 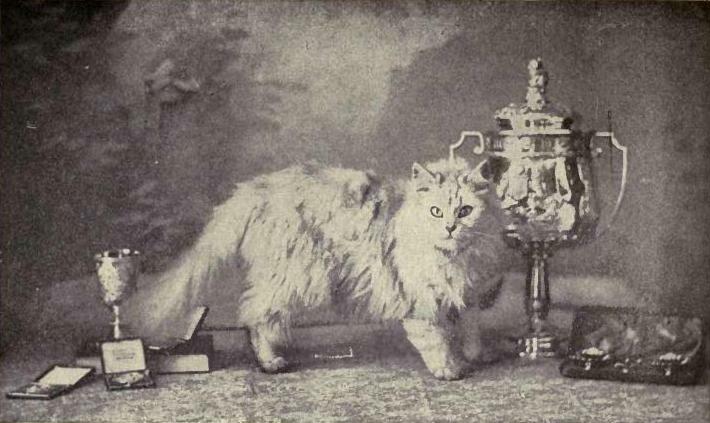 In July of 1871, Harrison Weir, a cat lover, organized the very first cat show. 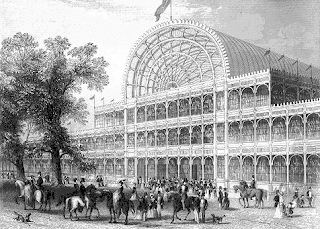 The show was held for one day at the London Crystal Palace. Mr. Weir wrote the standards for the different breeds and was also one of the judges. Now, this may not seem so odd to us, but at that time cats were not considered an animal worth much. They weren’t like cattle, horses, or even dogs. You couldn’t train a cat to perform worthwhile tasks such as rounding up the sheep, or plowing a field. The venue for the cat show was one of note, so many people paid attention. Weir wrote his guidelines according to length of fur, color, shape and build. His regulations were put into a manual to be used by other cat show organizers. On the way to the show, Weir worried that the cats would be unruly or difficult to manage, however he loved cats. He’d been long concerned over the ill treatment of house cats and wanted to change how people saw them. The first cat show was a huge success. The winning owners included 32 gentlemen, 15 married women and 4 spinsters. 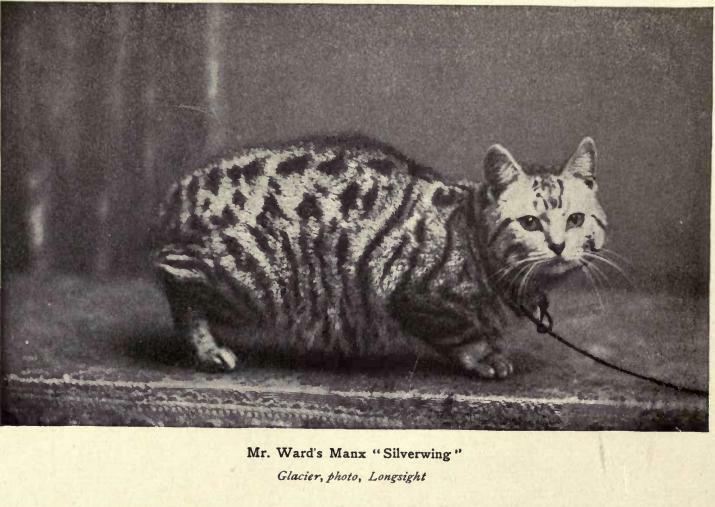 People were surprised because up to now, cats had been considered the pets of spinsters. In the unusual category was a 20 lb. cat who won both the fattest and biggest of the show. A second show was held in December at the same location and lasted three days. People loved coming to see the unusual animals. I’m sure the animals in those early shows were unique and interesting to look at. Deadwood, in the Dakota territory. In 1876, there were no cats in Deadwood, but they had an abundance of rodents. One enterprising gentleman, Phatty Thompson, decided to bring in some cats and sell them. He traveled to Cheyenne and offered to pay some boys twenty-five cents for each cat they would bring him. The cats had to be in good condition and salable. Thompson ended up with more than eighty cats, which he put in crates for the journey. 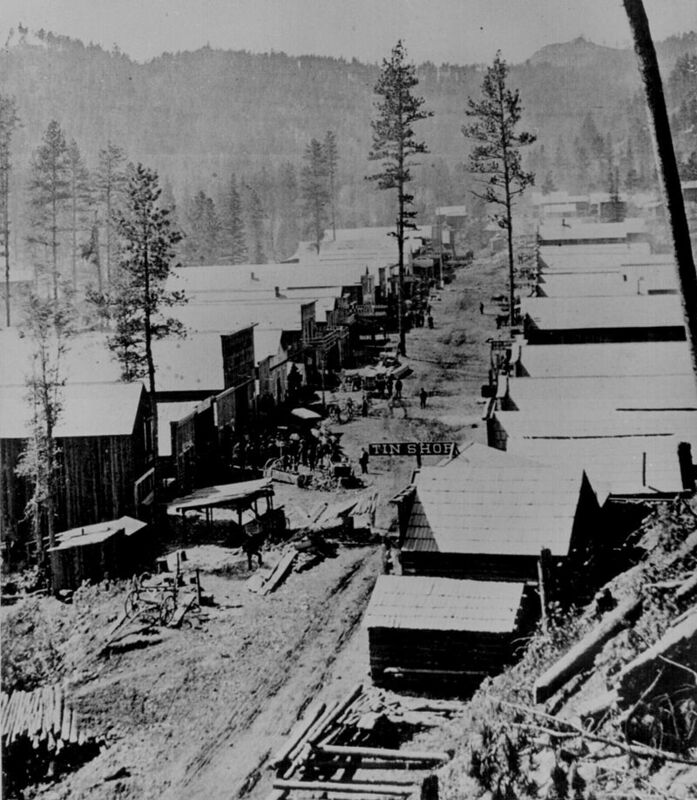 The trip from Cheyenne to Deadwood by wagon would take twelve days. Imagine riding that distance with eighty cats in crates. 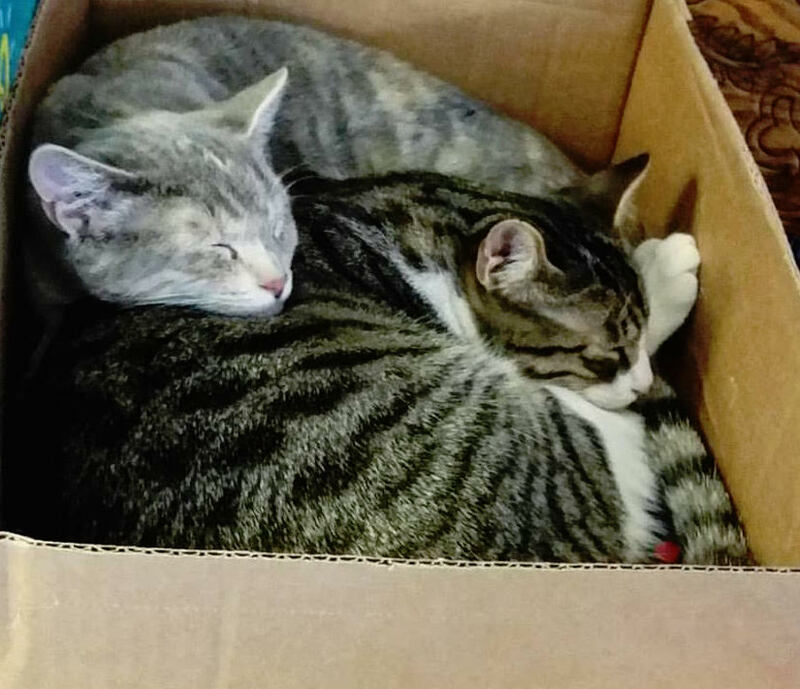 Accounts say they were meowing and caterwauling, making quite a racket. The trip wasn’t without incident. At one point, the wagon overturned near a creek he was crossing. Most of the cats escaped. Some miners working nearby helped Thompson round up the cats. In Deadwood, he sold the cats for as much as $20 to $30 each, making quite a profit. There is only one account of Thompson doing this trip. Having traveled with cats before, I know it can be unpleasant for even a short time and in a much more comfortable vehicle than a wagon. I can’t imagine more than eighty unhappy felines - not to mention traveling with them for 12 days. Have you every traveled with a cat? Have you ever attended a cat show? I haven’t been to a cat show, but would love to do so one day. Leave a comment and let me know if you have a cat and what kind. Loved the article! I am a cat person. I grew up having cats and have had cats most of my adult life. Right now I have two rescue cats. I've never had cats who enjoyed car travel. I think if you start out a cat as a kitten, taking them along for rides in a car, they will like it. The cat I had while growing up never liked car rides until he was old. Then he suddenly enjoyed them and would stick his head out the window like a dog likes to do. It was pretty funny. 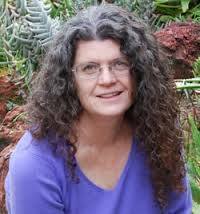 Thanks, Nancy, for this enlightening article! Pamela, Thanks for commenting. How funny that your cat would hang his head out the window like a dog. Made me laugh at the thought. I'm basically a dog person, Nancy, but I have had cats in the past and loved them. Also I grew up on a farm, where we always had a bunch of feral cats in the barn. Love this article, and the thought of traveling so far with so many cats is a hoot! J.M., I grew up on a farm too and we had a lot of cats in the barn. I did my best to tame all of them, but wasn't always successful. Thanks for commenting. Nancy, what a fun blog. We owned a cat for 20 years, though not by choice. She picked us. The cat had five names. No one could agree on a name so everyone in the family called her by a different one. My husband is allergic to cats so his name for her was "Go Away." Needless to say, the cat adored him and every time he said "Go Away" she thought he was calling her. My name for her was Mozart because whenever she was hungry she played the piano by walking back and forth on the piano keys. Margaret, I love that your husband called the cat "Go Away." Cats are so ornery and will gravitate toward the person who is allergic or doesn't like them so much. I also loved that your cat played the piano. I once had a cat who started "playing" my piano in the wee hours of the morning. Needless to say, I was startled awake. Thanks for commenting. I loved this post on cats. I currently have 3 cats, all tortoise shell calicoes. One is 5 years old and 2 are 10 months. I found the oldest one at a Dairy Queen, so we named her Lizzie, short for Blizzard. I adopted the other 2 about 5 months ago because they both looked just like her. Sticking with the Dairy Queen theme, their names are Sundie and Dillie. Susan, I love tortoise shell cats. Your cat names are so cute. Thanks for sharing. Enjoyed the post, Margaret. I have 3 cats. The grey male showed up at my door emaciated a year ago. Feed him and gave him a place. To this day Grey won't permit me to pick him up. The other 2 are mother and daughter and now after 7 years beginning to live in harmony. They both avoid Grey. Could he have something to do with their changed behavior toward each other? I wonder. Pat, I'm so glad you gave this poor cat a home. Many times cats don't become friends, but they do learn to live together. Thank you for commenting. No cat right now but when I was a child we went from Lexington, Kentucky to Davenport, Iowa in a heat wave with a cat in the car and no air conditioning. Not fun. Oh my, Virginia. I imagine that wasn't a fun trip. Thanks for sharing. I have two cats, a gray and white sweetie and a calico queen of the world. Both are from the humane society, and although they adore me they do not like each other. They both whine and cry the whole six minutes it takes to get to the vet's office, so I am glad that I don't have to travel with them. Thank you for sharing some cat stories! Linda, we have cats that whine in the car too. Not fun. I love that you adopted your kitties. Most of ours are rescue cats too. Thanks for commenting. For two years my girls did the cat project in 4-H. The two most challenging aspects were giving the cats baths and participating in cat shows. I think you can all imagine how giving the cats baths went. Cat shows and the people who participate in them seriously were very interesting. I had no idea cat shows were such a serious endeavor - special combs, brushes, hair dryers, shampoos and conditioners. There were also elaborately decorated, special two story cages for some cats. Some people wouldn't leave their cat and cage for fear that someone would sabotage their entry. It was quite a scene. I loved this blog, Nancy. I just can't imagine traveling with 80 cats and then trying to recapture them when they escaped. Hilarious! I have a little gray tabby cat, I named Lilybits, who has no tail. 12 days. Maybe cats were tougher back then. Have one neutered male orange long-haired cat. He chose me in August 2006. I went into a thrift shop, ran by a local Humane Society. This cat, less than one year old, started meowing from the time I walked into the store. I looked around and saw him in a wire cage, looking directly at me! I smiled and proceeded to do some shopping in the store. After walking around and finding a few things I wanted, I returned to the front and he started meowing again. Walked over & put a finder in to rub the sides of his face that he pressed up against the sides of the cage. Every time I attempted to walk away he meowed. I asked about him as I purchased my few items, and took their card, stating I would call back the next day to learn if he had been adopted from there, yet. Went home, to the next town, and discussed him with my husband. He had a dog, at the time. (Our previous cat, similar Orange male, neutered, had died several years back, at the age of 15. My husbands dog was born in 1998, and was abandoned by her owners when less than one year old.) My husband said I could do what I wanted, so I called & learned that the cat was still there, so I drove back to that town & paid for the shots & operation the cat had, etc. (Just slightly over $100. )and brought the cat home. When I went to him & picked him up out of the cage, he did not try to wiggle out of my arms, and seemed genuinely Happy to be leaving there. Putting him in a cat carrier for the drive home was a different matter. He meowed as if being killed. I could barely think on the way back to the next town. About a 45 minute drive back. Sigh. But out of his carried at home, he got himself all comfortable, fast, and acted like he had always lived there! Been an indoor cat ever since, and it is nearly ten years later. Yet he Still continually meows every time we have to put him in a carrier to take him to the Vet. Otherwise life with him is wonderful. Husbands dog died two years ago and just this past Sept. he brought home a new puppy. The two have not made close friends yet, but neither have they had any major issues with one another, either. Thanks for asking. Correction on my previous comment, meant to type "finger" not "finder" fifth sentence down from the top. Sigh.